We woke up at 7.30 today because we were tired after yesterday flight from Delhi. Our tour starts at 10 so we had plenty times to relax, shower and breakfast. I opened my instagram in the morning and watch the stock market using free wifi from Best Western Hotel Mumbai, the only free wifi I had staying in India. The room in Best Western is decent, much like a 5 stars hotel with live music at night and buffett for lunch and dinner. 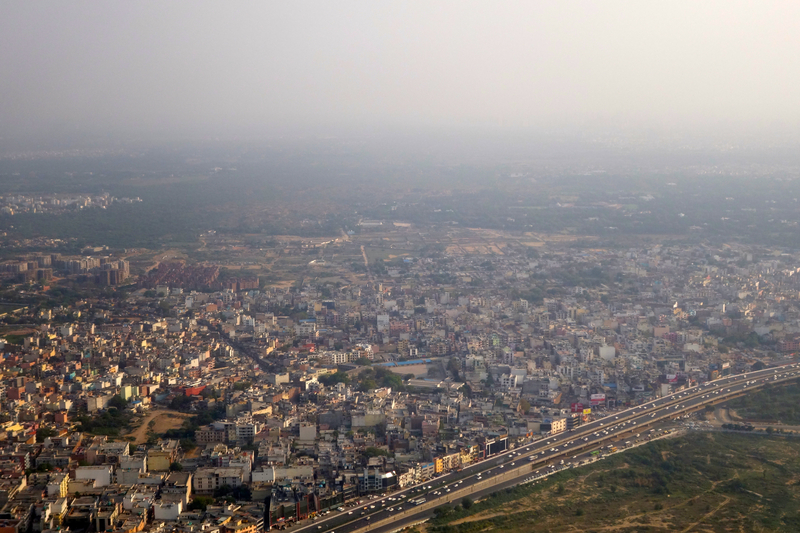 Our hotel was located 20 minutes from downtown and an hour from Chharapatti Airport, with congested traffic and reckless driving in India it takes time to get anywhere. 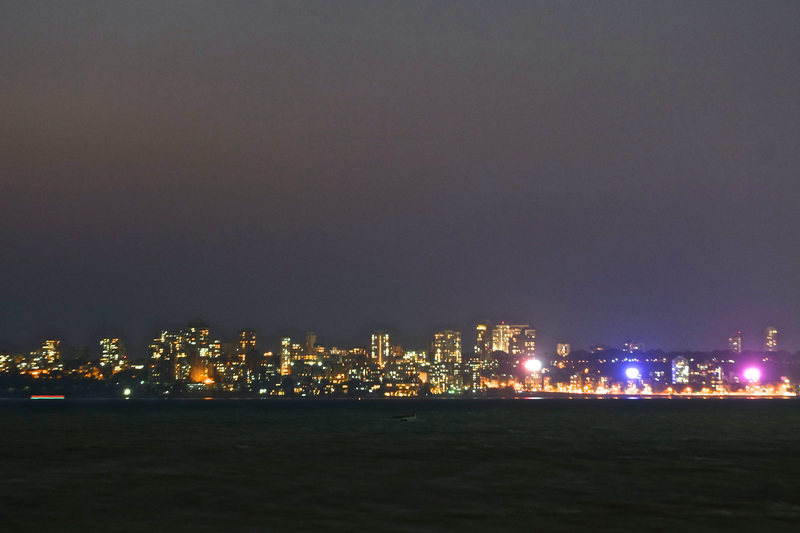 Located on the edge of the Arabian Sea, Mumbai originally was a fishing village comprising of seven swampy islands when it was acquired by Portuguese in 1534. It came under British Crown in 1661 as part of of dowry of Catherine of Braganza, when she married Charles II. 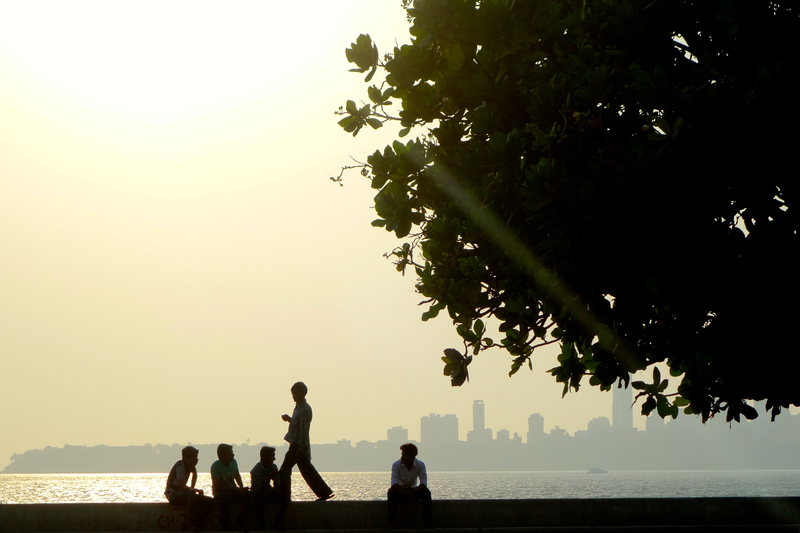 Mumbai today is a city of striking contrasts and a vibrant metropolis. 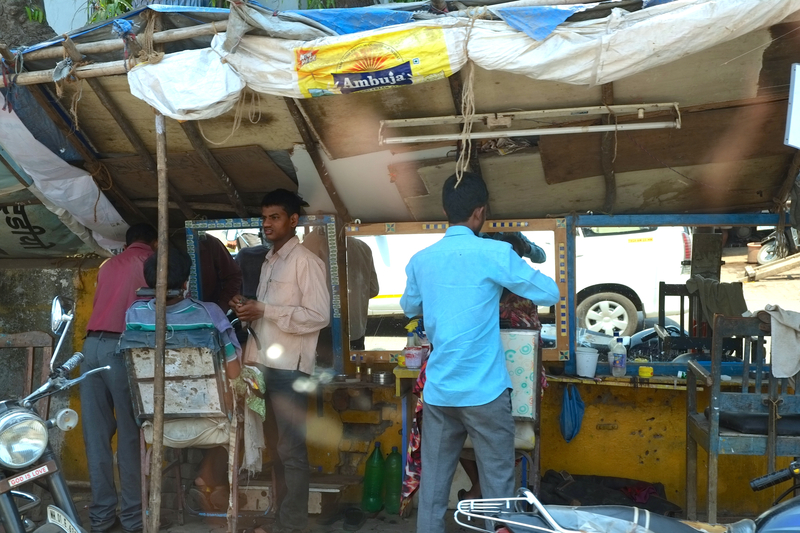 In Mumbai, skyscrapers stand next to Victorian style buildings, noisy traditional bazaars and adjoin glittering new shopping malls. 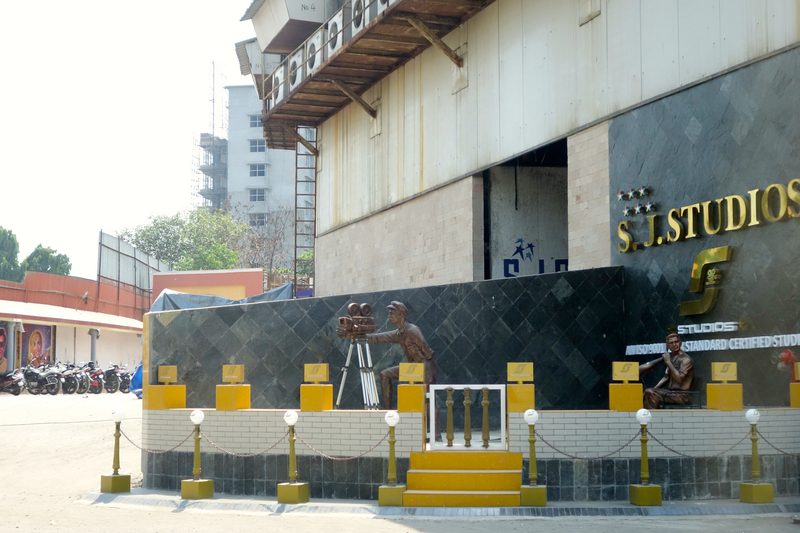 Mumbai is also a home to Bollywood, the centre of India’s film industry. At nine forty five we met our tour guide and start the tour, the first on itinerary was driving past Bollywood actor and actress houses, including Shah Rukh Khan, Rekha, Amitab Bachan, etc. Their house are big, but not very luxurious from the outside. After 90 minutes driving around Southern part of Mumbai we drove to S.J. 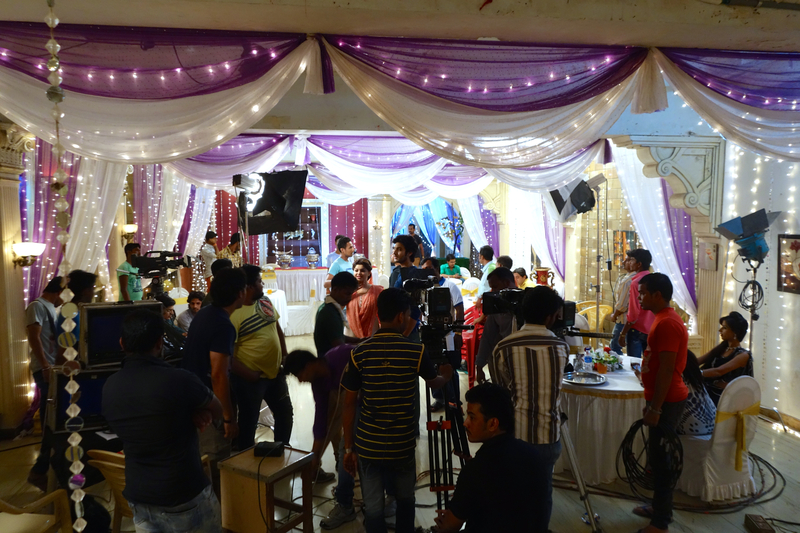 Studio, a large studio where Bollywood production houses shoot their movie scene. It was more like a complex of several warehouses resembling hospital, police station, luxury house, market, etc. 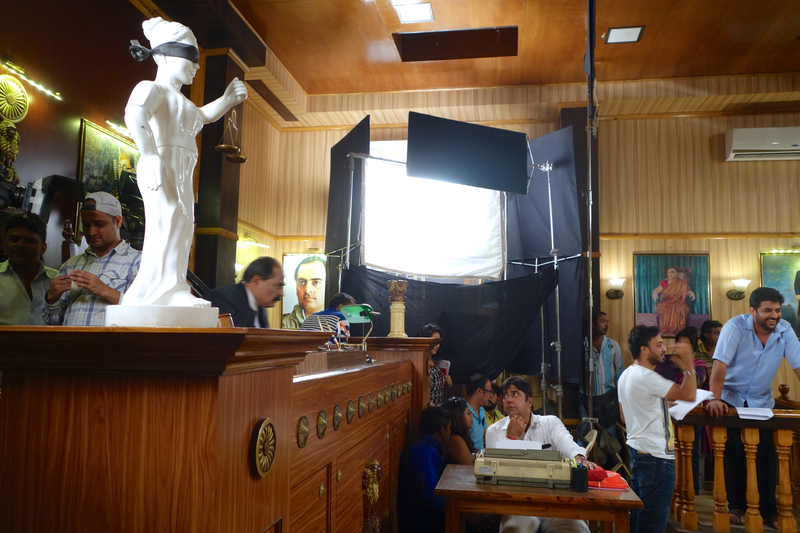 We saw several scene of drama, how they light the place, the shooting process, director, etc. It was a unique experience seeing Bollywood movie production. 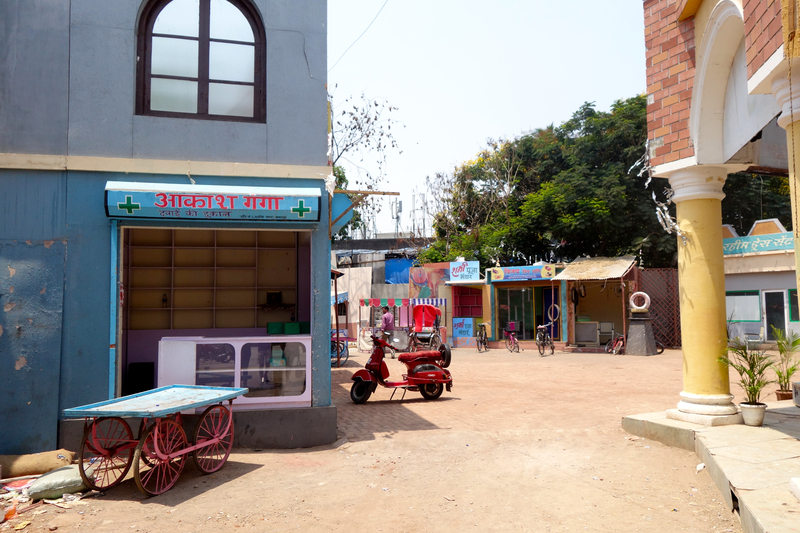 The we were taken to their gallery full of movie posters, autograph, statue of Shah Rukh Khan, and a theater. The next thing I know we were sitting on the front row watching Indian girl and boys dancing several songs. Indian dancers at SJ studio, Mumbai. 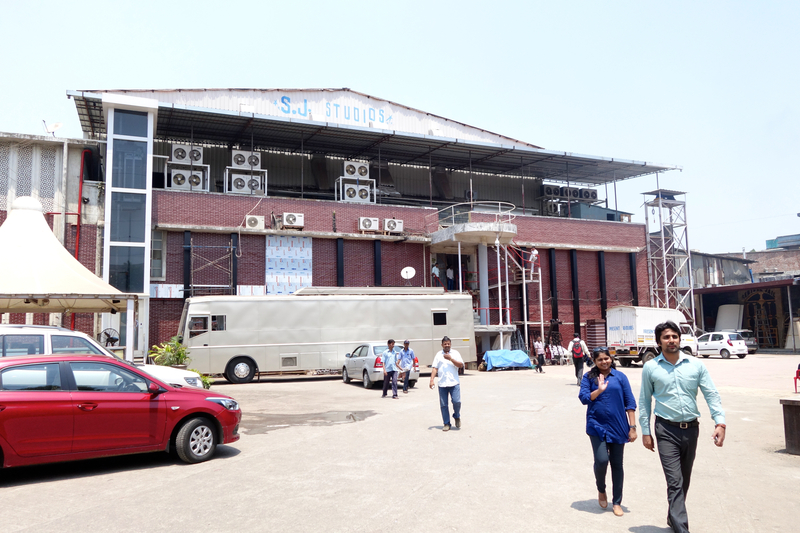 Exterior of SJ studio Mumbai. 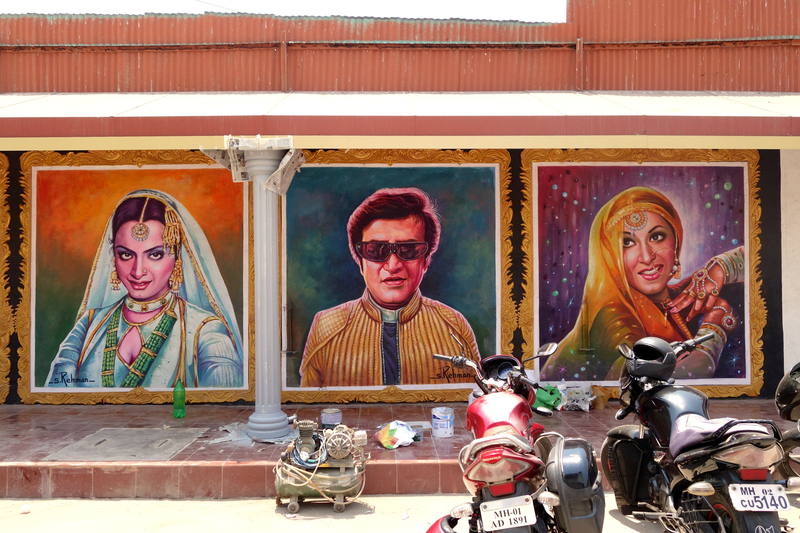 Paintings of famous Indian actor and actress. 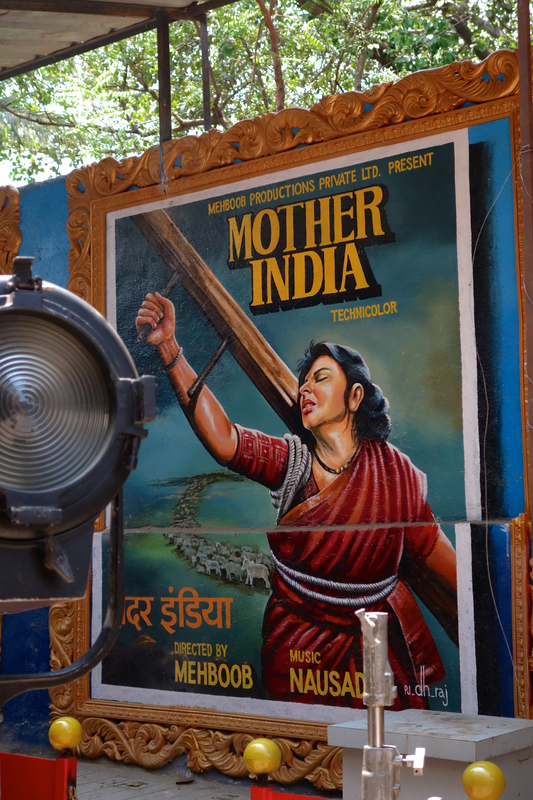 The first film India watched was in 1896, and thanks to the country’s colonial rulers, it was the Lumiere Brothers who introduced the art of cinema to the sub-continent. Bombay, as it was then called, was the first Indian city to screen the cinema. Mumbai is now home to one of the largest film industry in the world, even bigger than Hollywood in terms of the number of films per year, 900 movies per year (regional movies are not included yet in this category). 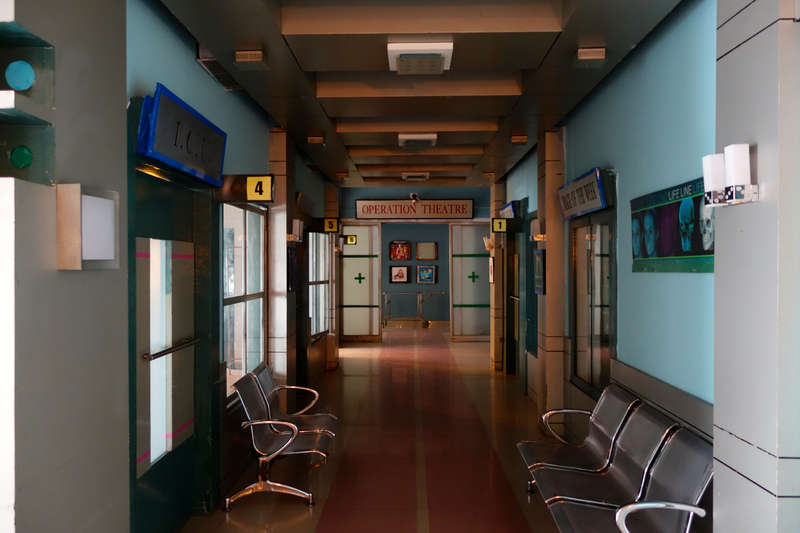 A made hospital for filming location. After half day of Bollywood tour we have a lunch at a nice hotel nearby, a buffett of Chinese and Indian cuisines for 595 rupee each person ($10). On the way back to hotel we visited Hard Rock Cafe Mumbai, it was located under an office tower, it have restaurant and of course, Rock shop. We bought three shirts for our friends and went back to hotel, arrived at 4 pm. Actually we still want to go to some places but our local driver and guide refuse to take us there today, so we have to rent a private taxi from hotel, costing us 1600 rupee ($30) for 4 hours. 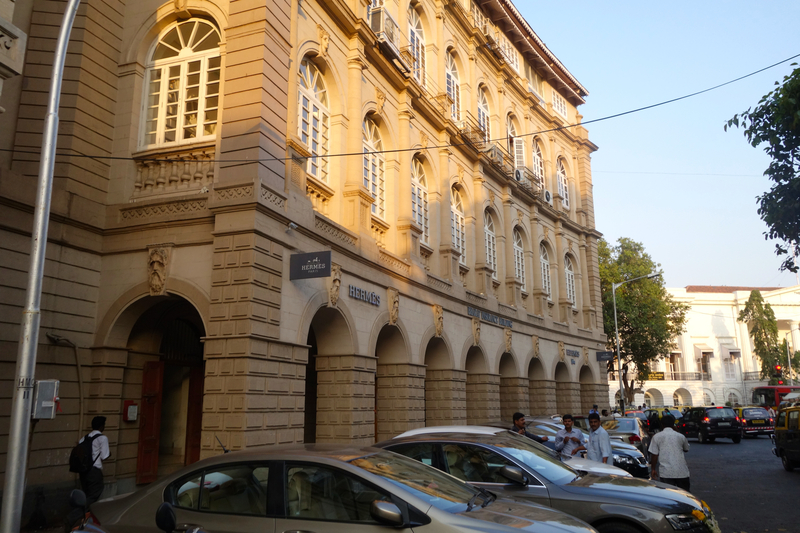 At 5.30 we left the hotel and hit downtown, straight to Hermes Store Mumbai, located near Mumbai Stock Exchange and India’s Bank Reserve. My mother and sister have been looking for a Hermes Birkin bag for nearly two years now, we have been to Korea, Japan, Dubai, Singapore and most of them doesn’t sell it in counter. We are looking for Hapi bracelet and Kelly wallet, both of them are available here but more expensive than in Jakarta. Mind you that they have 12 Bearn Wallet on the shelf and 8 Kelly Wallet avaliable, next to an Ostrich leather Lindy and other bags.The stock here are abundant, I would say. After negotiating the terms to buy or order a Birkin we came to a conclusion that you have to spend $5000-6000 before ordering it with the spec you want. We looked very serious about buying so the sales finally give us the order form and exchange our number, after completion he said, “can I interest you in another Birkin?”. We were shocked and ask for a look, and there it was, he brought a big orange box to the table. It was a special order Birkin bag with two colors, denim and blue ascent with Birkin flag pattern. It cost about $14400 excluding the $5000-6000 we have to buy before. We decided to think about it and get back there tomorrow before going back to the airport. 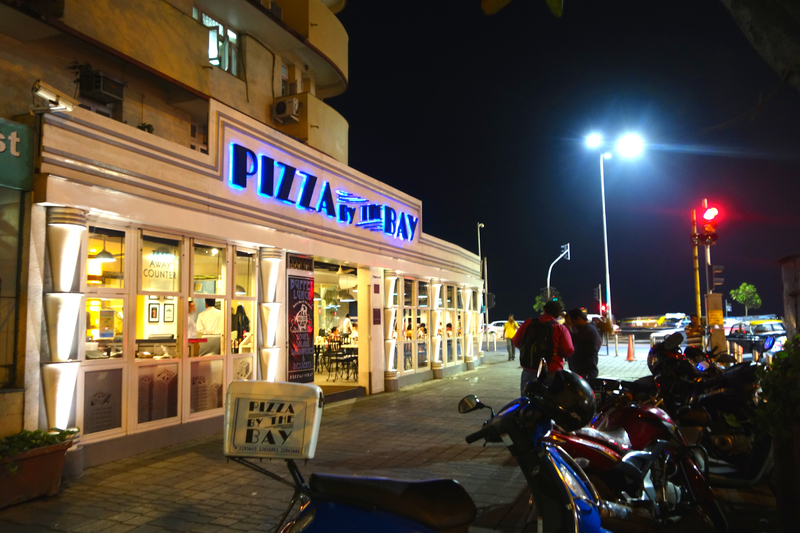 Since today is the last night we have in India, we were having our dinner in one of Top 10 restaurant in Mumbai, Pizza by the Bay. 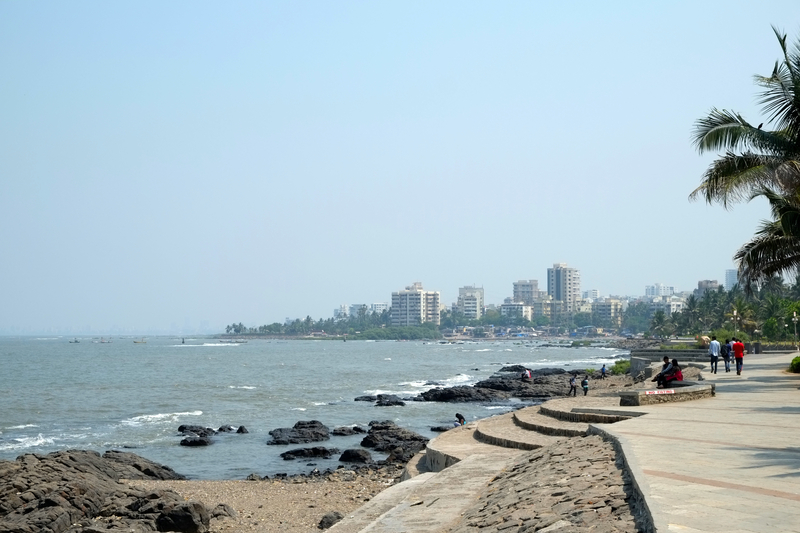 It was located in front of a stadium facing the other side of Mumbai which is separated by a bay of water. Before going in, I went across the street to take some shots of Mumbai cityscape but without satisfying results. It was dark already and I didn’t bring my tripod with me. I ordered BBQ chicken pizza for me and my mother, it was good and not very expensive. Both if us eating a pizza and water cost 1200 rupee ($25). 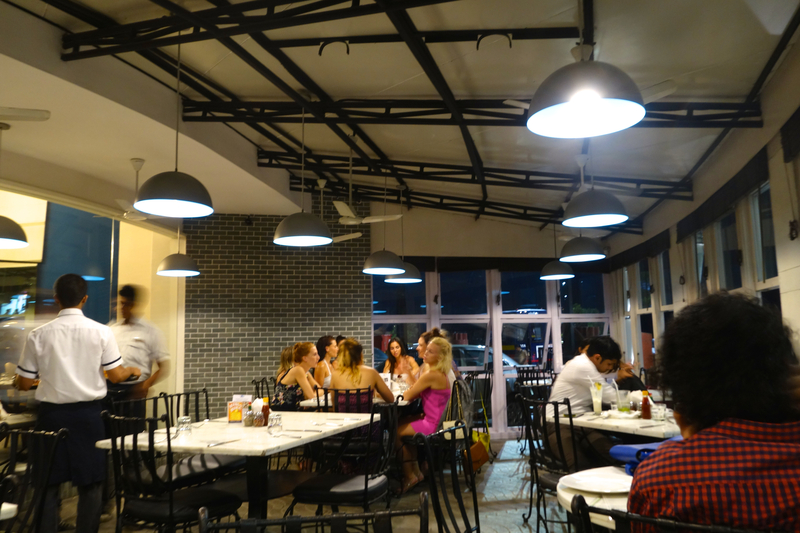 I would recommend this place for tourist going there, it is an affordable and fancy way to dine in Mumbai. This entry was posted in India, Travel and tagged bollywood, hard rock cafe, hermes store, mumbai, pizza by the bay, sj studio, Travel, trip. Bookmark the permalink.